A writer from the north of England, Ann enjoys writing about the unexplained and the paranormal as well as historical crimes and mysteries. When I was a young child in the seventies, I became fascinated by a painting in my grandmother’s house. The painting was a cheap print of a popular painting and hung on the living room wall of her small terraced house. The reason I was so fascinated was that the picture depicted a child. The boy was a similar age to me and for some reason looked sad and downcast, tears brimming from troubled eyes. I was so attached to the painting I even gave the sad child a name. A few years after the painting went up on the wall there was a devastating kitchen fire in the house. While the kitchen was destroyed, the rest of the house was undamaged. Despite this, the painting of the boy was removed and thrown into a skip along with the contents of the kitchen. For years it puzzled me why my grandmother did this until I read a series of articles about a cursed painting. That painting was ‘The Crying Boy’. ‘The Crying Boy’ was one of a series of paintings by artist Giovanni Bragolin completed in the 1950s. The series depicted young teary-eyed children. While it may seem strange to want an image of a weeping child on your wall, the pictures proved popular all over the world. In the UK alone over 50,000 copies sold. The children represented were often poor and very beautiful. One boy's image particularly tugs on the heartstrings, his eyes a sad reflection of his soul. He became known as ‘The Crying Boy’. In total Bragolin painted over sixty paintings and up until the early eighties the prints and reprints of his images, continued to be mass produced. In 1985 the most popular tabloid newspaper in the United Kingdom, printed a story that was to cause panic and end the popularity of Bragolin’s work. ‘The Sun’ published an article entitled ‘Blazing Curse of the Crying Boy’. The story described the terrible experience of May and Ron Hall after their Rotherham home was destroyed by fire. The cause of the fire, much like my grandmother’s, was a chip pan that overheated and burst into flames. The fire spread rapidly and destroyed everything on the ground floor. Only one item remained intact, a print of ‘The Crying Boy’ on their living room wall. Distraught at their loss, the devastated couple made the bizarre claim that the painting was cursed and it, not the chip pan, was the cause of the fire. • A lady in Surrey lost her house to fire 6 months after buying the painting. • Two sisters in Kilburn had fires in their homes after buying a copy of the painting. One sister even claimed to have seen her painting sway backwards and forwards on the wall. • A concerned lady on the Isle of Wight attempted to burn her painting without success and then went on to suffer a run of bad luck. • A gentleman in Nottingham lost his home and his family were injured. • A pizza parlor in Norfolk was destroyed including every painting on its wall except for one. When 'The Sun' reported that even rational firefighters refused to have a copy of 'The Crying Boy ' in their homes, the reputation of the painting was damned forever. 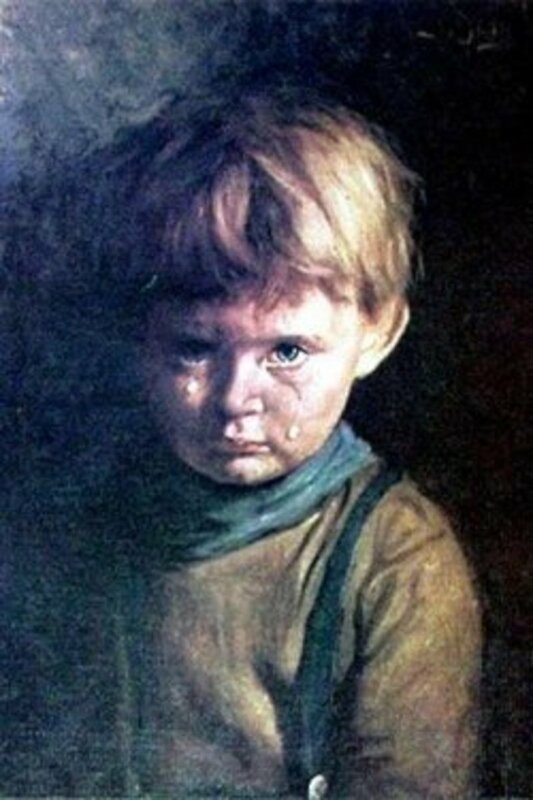 In all these cases, and many more that were reported, the painting of ‘The Crying Boy’ remained unharmed. Eventually, if there was an image of a crying child by any artist in a house that went on fire, the painting was blamed. Some claimed that they experienced bad luck if they attempted to destroy or get rid of their paintings. Others were convinced that it was only a matter of time before disaster struck them. After printing more articles and scare stories, ‘The Sun’ offered a frightened public a solution. On Halloween 1985, hundreds of the paintings were collected together by the newspaper and burnt under the supervision of the Fire Brigade. So why would this seemingly innocent series of paintings be cursed? Before long speculation was rife. Theories ranged from the little boy being a gypsy child whose family placed a curse on the artist. 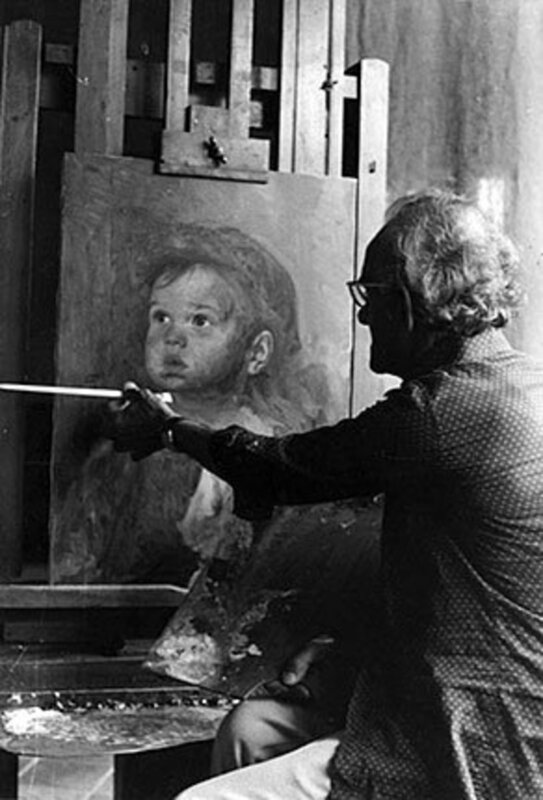 Some claimed that the child had died in a fire and his spirit was trapped in the painting. The most enduring story claimed the crying boy accidentally set fire to the studio of the artist who had painted him. The child’s parents had also been killed in a blaze. Wherever the little orphan went fires mysteriously followed, earning him the nickname Diablo or Devil. The boy supposedly survived to early adulthood but was tragically killed when his car crashed and burst into flames. 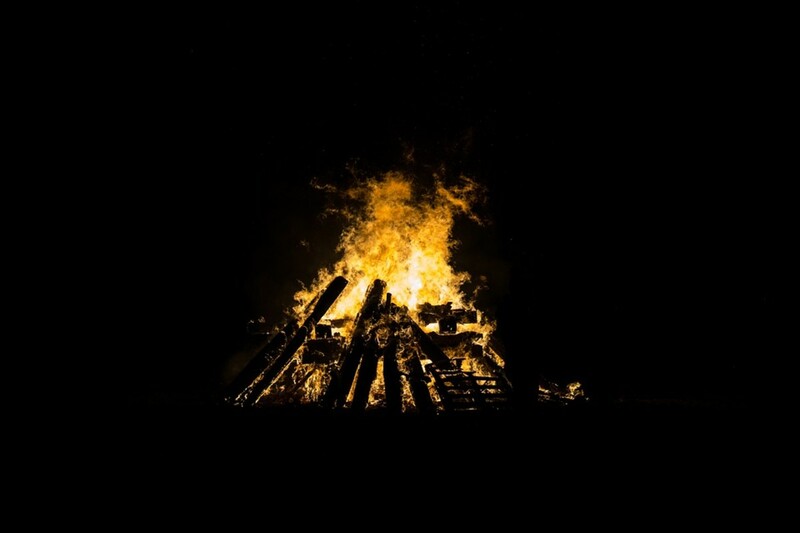 From then onwards it was his image that carried on his cursed fascination with fire. In a bid to debunk the stories that grew up around the painting of ‘The Crying Boy’ various experts offered their own theories. A frustrated Fire Brigade pointed out that in all cases where there had been fires, there was a rational explanation. The fires in almost all cases could be traced back to human carelessness or electrical faults. What they couldn’t explain was the evidence that the paintings often remained intact when everything around them was destroyed. In a 2010 video made by Steve Punt and available on YouTube, a painting of ‘The Crying Boy’ is set alight in a bid to decide the matter once and for all. By the time the fire burns out, the corner of the painting is scorched but it remains largely intact and the face remains untouched. Yet ‘The Sun’ who first published the story of ‘The Crying Boy’ had no trouble incinerating hundreds of copies. Possibly the simplest of explanations is that the picture is printed onto fire retardant materials. Quite simply, the manufacturer of the print created a fire-resistant product that became a victim of its own success. The debate continues. My grandmother was not a superstitious woman. Indeed, she went on to have another much worse fire some years later when her refrigerator overheated. Was she right then, to throw away her painting of my little friend because of unsubstantiated rumours? I think so. While there is probably a very rational explanation for the phenomenon of ‘The Crying Boy’ painting, where curses are concerned I believe it is better to be safe than sorry. Or is it? You decide. 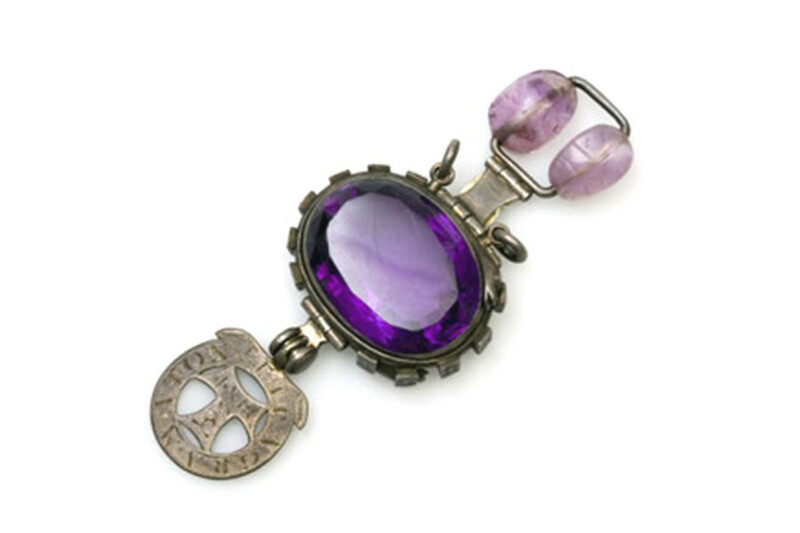 In 1857, an insignificant gemstone was stolen from an Indian temple. 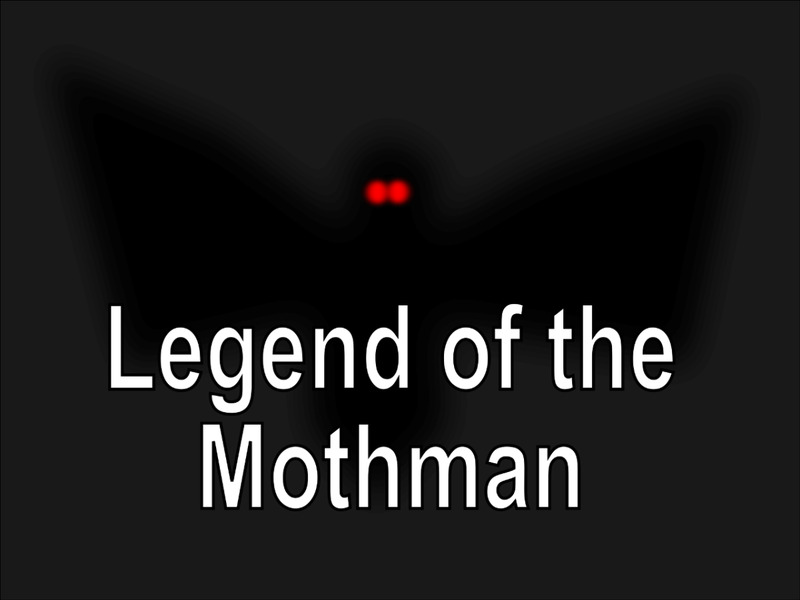 The story that followed the theft is a fascinating tale of misfortune and tragedy. Was this stolen jewel haunted by its true owner. Would you hang a painting of 'The Crying Boy' in your home? Is there any chance that the Crying Boy Painting could be possessed? Some people certainly believe so. The child depicted in the picture is rumoured to have had an unhappy life and died tragically. Do you personally believe in the curse of the crying boy painting? I have a picture of it in my art book for school and have recreated it a couple of times. Am I safe? My mum says I should get rid of them as she promised herself to never have a painting like this. I think fires are mostly caused by carelessness. I personally don't think I believe in curses. In this case there is probably a rational explanation for the fires and coincidence plays a part. I believe you are safe. I recently received a "crying boy" framed print. Since I have put it up in my house, a deep depression came upon me. I tried to take my life. My mental state of mind has not been the same. I do not believe in old wives' tales, but this is very weird. Could this print have something to do with it all? I am very concerned for you. The painting has not caused your depression, but it does show a sad child. Take the painting down, give it to charity, then forget about it. Replace the painting with a beautiful, happy image, something that makes you feel good. Please make sure that you see a doctor or at least phone a friend. We all have dark times, but there is always a light at the end of the tunnel. I am sending you my very best wishes and hope and pray you feel better very soon. I had the Curse of the Crying Boy Painting twice with no problem. It seems people are just trying to make it sound spooky. I wonder how many are left? I think you are probably correct. It seems to be a UK phenomenon, I doubt there are many left here. Is there a story to The Crying Boy, or did the artist just think to paint it? The picture is one of a series of paintings, all of young children. It has been suggested that a lot of the children are orphans or poor children who the painter used as models. There is a story that the little boy depicted perished in a fire when he was older, but this may just be a tall tale. I have a large framed picture of the one at the top of your article. It's been in my loft for at least 15 years. I couldn't allow my nan to just throw it away as it evokes so many childhood memories. I knew of the curse and nobody else wanted it for that reason. Do you think that one day I will find somewhere to hang my cursed painting? I feel the same way. I don't have a copy personally but as soon as I see an image I am transported back to my nan's house and my very early childhood when it hung in the parlour. Does the curse of the crying boy painting still continue? I think a lot of the paintings have been destroyed, certainly in Britain where the tabloids whipped people into a frenzy. I have put a picture of the crying boy in my book at school. What do I do? Don't worry it will be fine. Most people think that the paintings were made of a material that wouldn't burn and the fires were coincidence. You are not in any danger at all. Please don't worry. I'm sure your book looks great. Is the curse of the Crying Boy Painting real because your grandmother has been in a lot of bad situations? My grandmother, very sadly, had three major fires in her life. She only owned the picture for one of the fires. As you can imagine she was terrified of fire and very superstitious. She thought it was better safe than sorry. She had another fire years after disposing of the painting. I live in America. I bought the crying boy painting at an auction 20 years ago. I fell in love with it because it looked exactly like my Grandson who had been abandoned by his parents. Well, 20 years later our home burned down. The painting was in the closet along with the other paintings and I never got to see if it or my other pictures burned. We had just moved in and had not had time to hang any of the pictures before the fire. Do you think the boy was upset being in the closet? No, not at all. As I have said to others, my grandmother suffered three major fires in her life. She was actually scarred from her knees to her waist after her clothes caught fire at fifteen. She owned the painting during only one of those fires. Unfortunately, accidents happen. My grandmother like many others felt better safe than sorry. I am so sorry that you suffered a fire it is a truly horrible experience to suffer catastrophic damage to your home, it is so traumatic. Please accept my very best wishes and accept that accidents do happen. If anything I believe that if the painting had any influence, in your case, because you loved it so much, it would be benevolent. Is the curse of The Crying Boy painting real? My Nanna had an exact painting like this, I too was always was drawn to it. Opinions are divided. There was a lot of hysteria over the painting in the UK in the seventies and eighties but people continue to seek a logical explanation for the phenomenon. 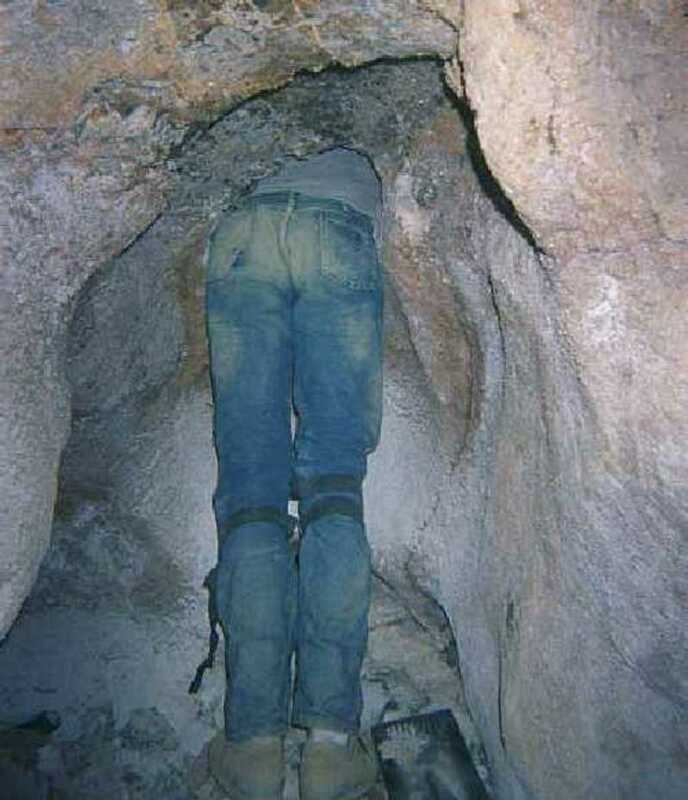 Whatever Happened to Ted the Caver? Hello, my grandma died of old age. She was badly burned in a fire when she was 15 and was always terrified of it. Her dressing gown was trailing in the hearth of the fire when it caught alight. She ran screaming into the street and a coal man doused the flames with a dirty sack. She was badly scarred from the waist downwards and in hospital for a year. She had two more fires that I remember, one was caused by an unattended pan, the second by a faulty electrical switch on a freezer. Good article about the crying boy . Did you’re grandma die in one of the fires? And can you post more about it! My parents had this painting on their front room wall in the 80's. I hated it as a child as it scared me and use to take it off the wall and hide it in cupboards. It was only when the newspaper ran the story my parents got rid of it. When I say get rid I later found out dad had removed the frame and the painting was in the shed. Mum always said how weird it was that I went to such lengths to get rid of It! Yeah the painting is cursed for sure. I know someone who has a crying boy and crying girl painting. The things that have happened over the years are devestating. It isn’t fire, just devestating things to the family. 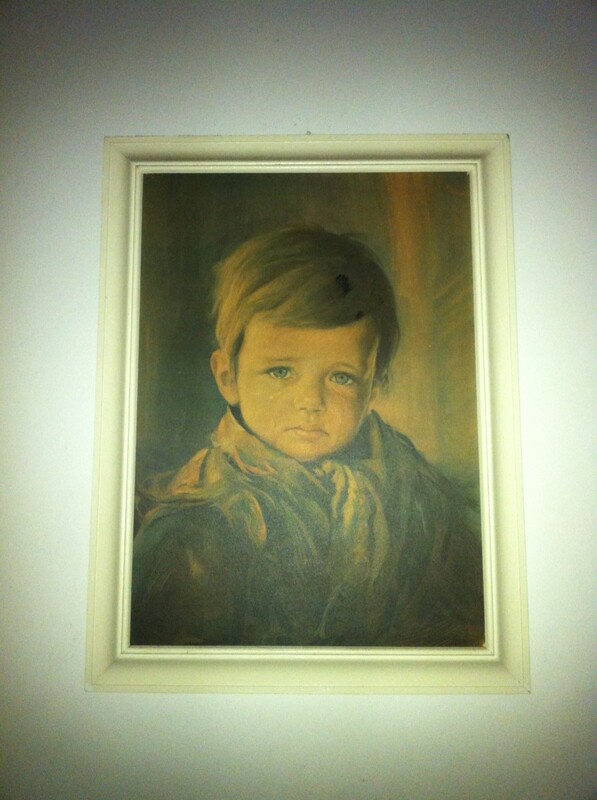 I have had a painting of the Crying Boy named ALFIE hung up in my house for the past 15 years. I think it's wonderful. Wow that is so cool but not cool at the same time. We had that painting in our family home, and would often remark about the resemblance with the crying boy and my youngest brother. I did a needlepoint of the boy crying and have it hanging on a wall next to the opening of my family room. During super storm Sandy a tree behind the family room fell and instead of hitting the house it went sideways hitting the corner of the house (very little damage)and totally destroying my deck and pool and hitting my neighbors house. It was a straight line from the tree to where the boy crying is hanging. To this day I believe that picture saved us from getting killed and totally destroying our house. This can't be real. Really?? My grandmother did more or less the same thing. I think she felt ‘better safe than sorry’. I think you are right Glen. As I explained to somebody else, my grandmother lived through three severe fires and also lived on the most heavily bombed road in England during the war. She only owned the painting during the second fire but her attitude was ‘better safe than sorry’ so the painting was sent to the rubbish tip. I found this story very interesting. I’m always curious to try to solve unexplained puzzles. After reading your article, I have to assume that the painting was done on a fire retardant canvas. However, that doesn’t explain how the print of a similar picture survived a kitchen fire — the one you talked about that you had when you were a child. Maybe all those prints were made on fire retardant paper too. I think that a lot of people are convinced that the painting is bad luck and rather than destroy and risk more, they pass the painting on. My grandmother suffered three big fires in her life. She owned the painting when she had the middle fire and gave it away soon after. But as I said she had three fires and attributed to the other two to her own carelessness. I happen to stumble across one of this paintings before. The lady who owned it pressured me into buying it however I refused. I had asked two people why she was trying to get rid of it. They had said she would see children run through her house and bite her is this true or fake. I will be sure to watch. Thanks for commenting. Alexandra please don’t worry. I am sure that your painting is fine. The paintings that people were worried about were on sale in England forty years ago. Lots and lots of copies were made and some people thought they were printed on cheap materials that weren’t fire proof. The newspapers at the time whipped up hysteria to sell copies after a few coincidences. The paintings are on sale all over the world and no other country suffered the same phenomenon as far as I know. Please enjoy your painting. If you are really concerned maybe you could take it down for a while and place it in a safe place until you decide what to do. Hi, please help me, I have one of those paintings but the boy in it looks older than the photos I found online but it's sign by giovanni.....and I can't find a picture of the painting I have(in which the boy looks older) online or in anywhere and I don't lIve in Englan and my country does not speak in english, maybe the painting was brought here.......please......I'm really scared. i have the painting since I've moved into this house with my family and nothing seems to have happened neither to us or the family here before but they wanted to move really fast. As I said I have no idea how the painting came here since I don't lIve in Englan and the previous owners were not related to England in any kind of way. PLEASE HELP MEEE!!!!!! We had a copy of this painting in our living room, and our kitchen on the farm caught fire because of chips cooking in oil that spilled over and yes when I moved to the City years later as a grown up the same thing happened with my in my townhouse. No jokes, no stories. To be Save or Remove this Curse You have to get a Crying girl to keep him from doing ANY Dangerous Stuff, “Someone said that The little Crying boy would also come out the painting” If you have a Crying boy I consider you get a Crying girl to keep him company! Absolute nonsense to blame a painting or print for a disaster In a house. I owned this painting 20 years ago if not longer and nothing happened ever. People have to much phantasy. If I can buy another one I will. That is a lovely thought Sumiya. This is the problem Wanor, fires happen unfortunately. Common sense tells you the painting can’t be the cause but are you prepared to tempt fate? I would rest easy and enjoy your cards if they turn up, such beautiful children. Best wishes, Ann. Hi Ann... I bought this crying boy post card when I was a teenager in the 80s. One of my most favourite post card collections. I don't believe in this superstition but...my parents' house caught on fire ten years ago caused by a short circuit. Now I am wondering whether the crying boy post card was at my parents' house. I think I have lost it.. :-) &*_*& Have a nice Day! Thanks for your comment. The whole story is fascinating. Have a good day. Best wishes, Ann. We actually had this painting in our condo which traveled with us from from new york. I was told that the boy was crying because if you look at the picture sideways it looks like a face (demon of some sort) can be made from the coat. We never had any fires but then again When the picture was packed along with other paintings, this one was in front and tape was used to hold them together for easy transport. When the tape was removed, it left a cross imprint across the picture which may be why we never had any issues. Hi Dilruba, many people do believe the curse is real. 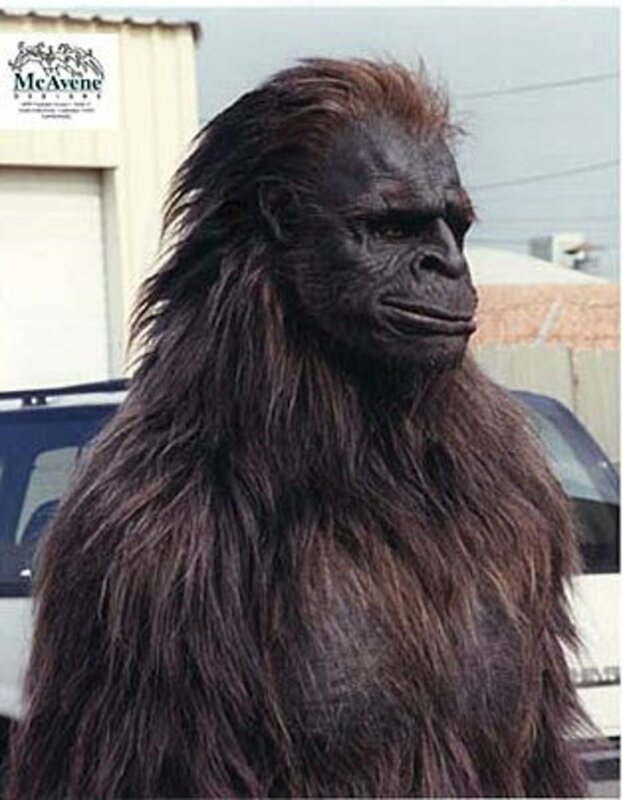 It certainly became a phenomenon in the united Kingdom during the seventies and eighties. I think opinion is divided. Lots of people would think that the idea of a curse is silly superstition but others are not prepared to take a chance. My grandmother certainly had a fire while owning a copy but then had another severe fire twenty years after destroying the painting. Hi Jessica, there is certainly a copy of the painting on the uk and the us versions of eBay at the moment, I don’t know where you are based. 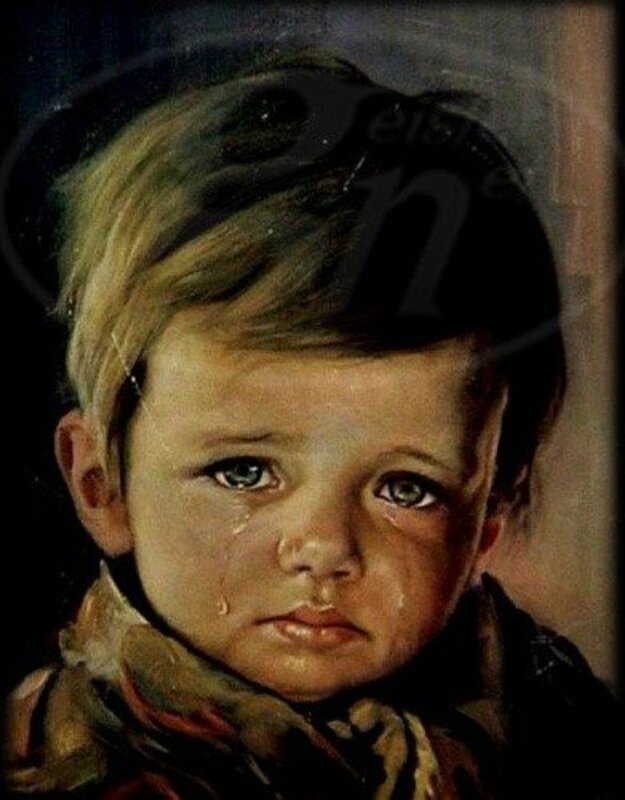 If you do a search of Giovanni Bragolin print or Giovanni Bragolin ‘The Crying Boy’, a copy of the print should come up, there are hundreds out there. You have a beautiful child by the way. Best wishes. Thanks for your comment Lynn. The children in the paintings are very beautiful. Your son must be very handsome. It is so sad to see them crying. I think you probably did a wise thing. Best wishes, Ann. Bought a print at a flea market around may 2015. Sept 1 2015- diagnosed throat cancer. Had surgery, beat it. Aug 2017 auto accident, broken back..
Told my wife sept 2017 to get rid of painting. When we first got the copy of painting I mocked it. The painting is now gone from my home......!!! I think that the painter captured the innocence pureness of a soul that can not be destroyed by evil. I am really so sorry to see totally a baby crying and I don't like to force the children to cry.